A new multi-genre music and arts festival kicked off on Wednesday in London, hosting thousands of the British capital's art-loving residents. 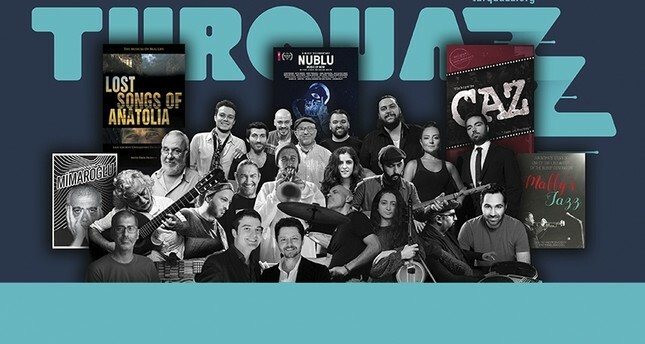 The Turquazz: Anatolian Jazz & Roots Festival shines a light on Anatolian jazz and roots culture emanating from Turkey and its surrounding regions," said a statement from the Yunus Emre Institute, one of the event's organizers. Concerts by a plethora of artists and groups planned throughout the festival, including DJ Murat Meriç, Yarkın Duo, Anatolian Blues Project, Timeless, Barış Demirel, Funkbook a la Turc and Debora İpekel. The two-week event started with Jazz Bites, an event promoting Anatolian food culture and jazz, and will continue in various venues across London until March 30.